Beneath a canopy of gnarled oaks that have grown for centuries on a hillside at the southern toe of the Sonoma Mountain, views of the Sonoma Valley and Skaggs Island sprawl endlessly across the horizon. The wind moved like waves through dun grasses flecked with purple lupine and golden mustard flowers Friday afternoon, worlds away from the traffic winding along Highway 121 below. Two coyotes bounded across the empty fields as ducks took flight from a murky, natural pond. Bruce Donnell wants his 978-acre property that’s adjacent to the future Tolay Lake Regional Park to stay pristine forever, so he brokered a more than $3.8 million deal with Sonoma County officials to protect the parcel. 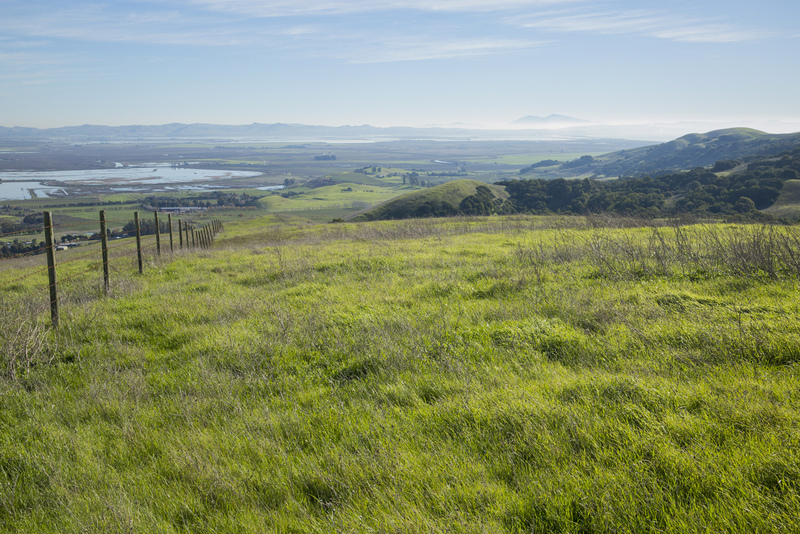 The site offers stunning views, like vistas of the San Pablo Bay, the Petaluma River, Mount Tamalpais, Mount Diablo and Mount St. Helena. 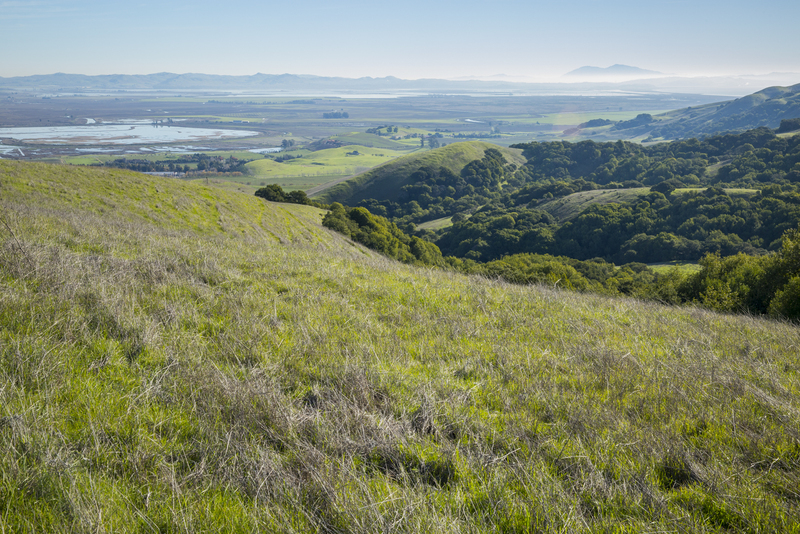 On Aug. 28, the Sonoma County Board of Supervisors approved the acquisition of the so-called Gravelly Lake conservation easement, purchased with more than $3 million in taxpayer funds and a $720,000 grant from the Gordon and Betty Moore Foundation. 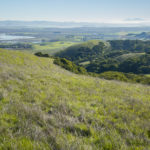 The parcel is part of a contiguous, 7,000-acre stretch of protected lands that extends from the San Francisco Bay, said Wendy Eliot, conservation director for Sonoma Land Trust, which procured the grant. 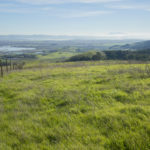 About 65 acres of Donnell’s land is leased to operators who grow pinot noir and chardonnay grapes to source to local vineyards, while cattle roam for seasonal grazing across much of the rest of the parcel, said his brother-in-law, Justin Faggioli, who helped represent him in the deal. The easement allows agricultural use and the construction of one home, but will otherwise safeguard the land, which will only be open to the public for guided tours. 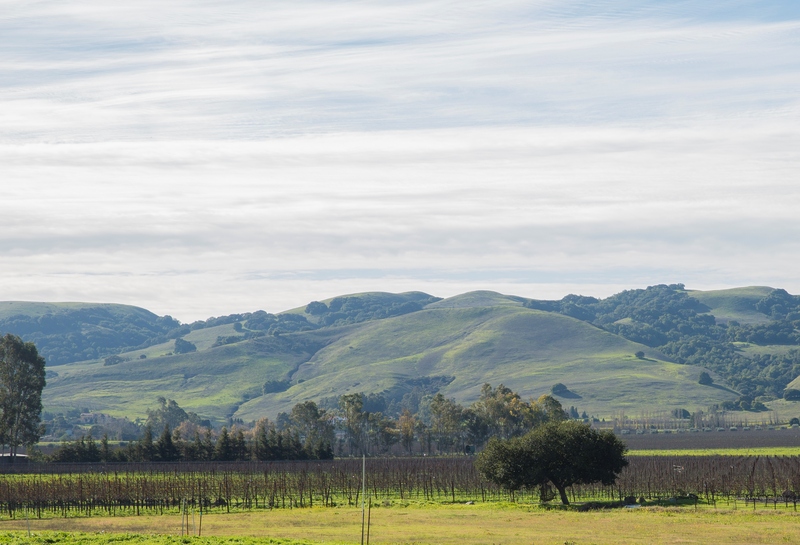 “This is the gateway to Sonoma Valley, and what an incredible monument it is to the Donnell family to agree to the conservation easement to preserve this in perpetuity,” said Supervisor Susan Gorin, who represents the valley. The land is in the middle of a roughly 4,000-acre parcel split between Donnell and his two sisters. Their father, Dewey Donnell, bought the land in 1941 and raised the family there at a home with the famed Donnell Garden, his sister Sandra Donnell said. The siblings divided the land after their father’s death in 1984, she said. Bruce Donnell, who has lived for about three decades in Santa Fe, said he never planned to develop the land, but said the conservation easement is still critical. The adjacent Tolay Lake Regional Park could open by mid-November, pending the approval of a master plan and environmental impact by county supervisors, said Melanie Parker, the county’s regional parks deputy director. 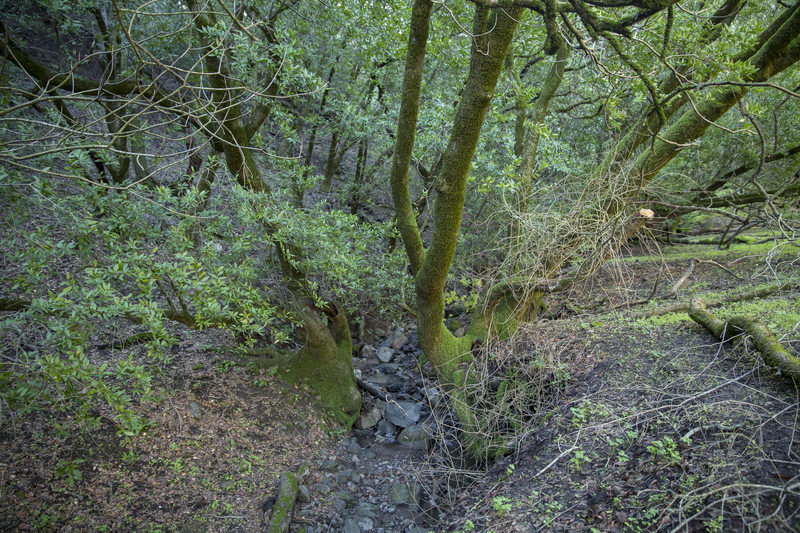 Meanwhile, a group that has long sought to protect land in west Petaluma from a proposed housing development announced last week it has raised $4.1 million to purchase 44 acres in a bid to extend Helen Putnam Regional Park. If the Kelly Creek Protection Project raises another $6.9 million by Dec. 1, it can purchase from developer Davidon Homes all 58 acres for the park extension, precluding the construction of 28 homes on the parcel at the corner of Windsor Drive and D Street, according to the group’s website. 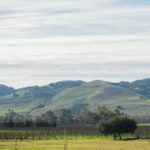 The Donnell family reached out to Sonoma Land Trust in 2010, and were referred to the Sonoma County Agricultural Preservation and Open Space District, said Misti Arias, the district’s acquisition program manager. The district started negotiating the deal in 2015, she said. Arias hopes to work with the other family members to preserve the remaining private property, she said. 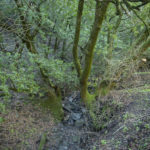 The conservation easement protects habitat for wildlife, including golden eagles, great horned owls, mountain lions, raccoons and raptors, Faggioli said. Donnell said he wanted to control public access to preserve the property. Dates for public tours haven’t been set, but docent-led hikes will happen at least twice a year, Arias said.